The Bumblecrow, an aircraft that has to be seen to be believed. 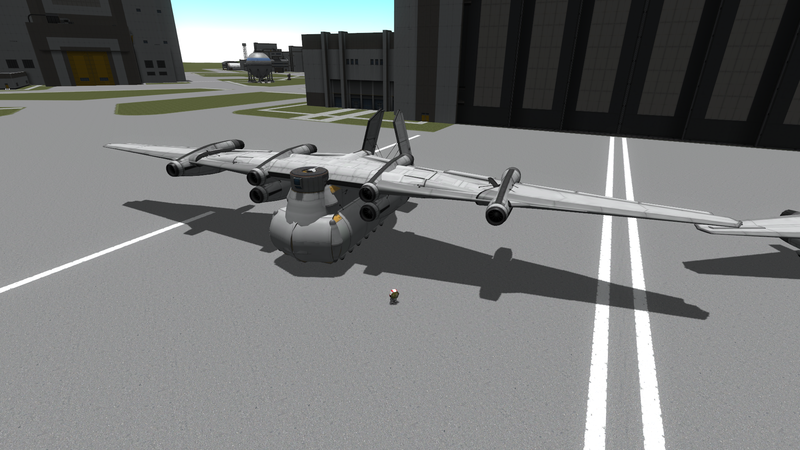 I’m still shocked that it can fly at all, let alone as well as it does. Don’t forget to switch control from the pod to the probe core at the rear of the craft. I wish there was a way to manually control which pod the craft controls from… Oh well. Have fun!